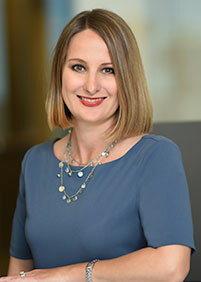 KYRA E. ANDRASSY is a partner of Smiley Wang-Ekvall, LLP. She concentrates her practice on bankruptcy and insolvency matters and business litigation. Her insolvency-related work includes representing chapter 11 debtors, chapter 7 and chapter 11 trustees, secured and unsecured creditors, creditors’ committees, purchasers of assets from bankruptcy estates, assignees in assignments for the benefit of creditors, federal and state court receivers, and borrowers in out-of-court workouts. Ms. Andrassy’s business litigation practice includes a broad range of disputes in state and federal court, including breach of contract and fraud. She received her undergraduate degree in political science from the University of California at San Diego in 1995, and her law degree from Loyola Law School in Los Angeles in 1998. She was an editor of the Loyola Law Review and the recipient of the American Jurisprudence Book Award in Legal Writing. She served a judicial externship to the Honorable Barry Russell, United States Bankruptcy Judge for the Central District of California, in Spring 1998. From September 1998 until September 2000, Ms. Andrassy served a judicial clerkship to the Honorable John E. Ryan, United States Bankruptcy Judge for the Central District of California and a member of the Ninth Circuit Bankruptcy Appellate Panel.